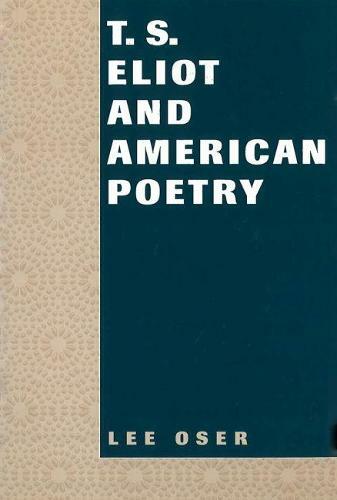 A study of Eliot's major poetry, as well as an examination of what America means to its poets. Investigating Eliot's literary heritage through his familial traditions, the author addresses all phases of his career as a poet, and constructs a way of comparing Eliot to other American poets. "This is an impressive piece of literary criticism. Oser has produced the finest survey of Emersonian echoes in Eliot so far." Louis Menand"
"Oser provides a distinctive and highly persuasive analysis of Eliot's American pedigree as well as his legacy to American poetry." Sanford Schwartz"